Become Authorised IRCTC Agent through us & maximise your FOOTFALL & REVENUE! Now Build your own Travel business and maximize your footfall & revenue. 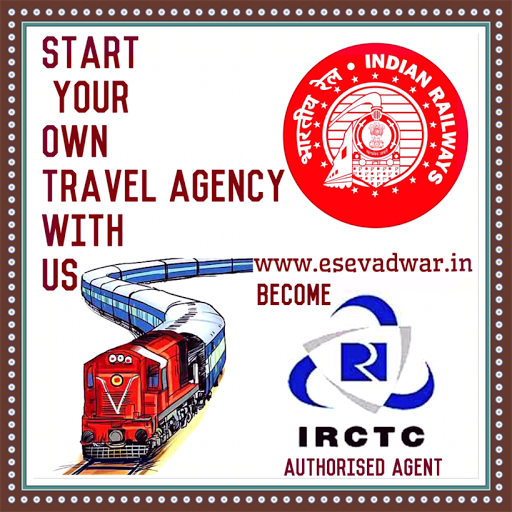 We are providing opportunity to become Indian Railway Authorized e-ticketing agent. (ALL over INDIA), to start a ticket booking agency you need IRCTC license through this you will be legal agent for selling railway tickets. Selling tickets without IRCTC license is an offence and we request everyone don’t buy railway tickets from an unauthorized agent and ask to show IRCTC license while booking ticket from an agent or agency.